To the yogurt add tandoori mixture, chillies, garlic and ginger paste, and juice of ½ lemon and mix together, season with salt and pepper. 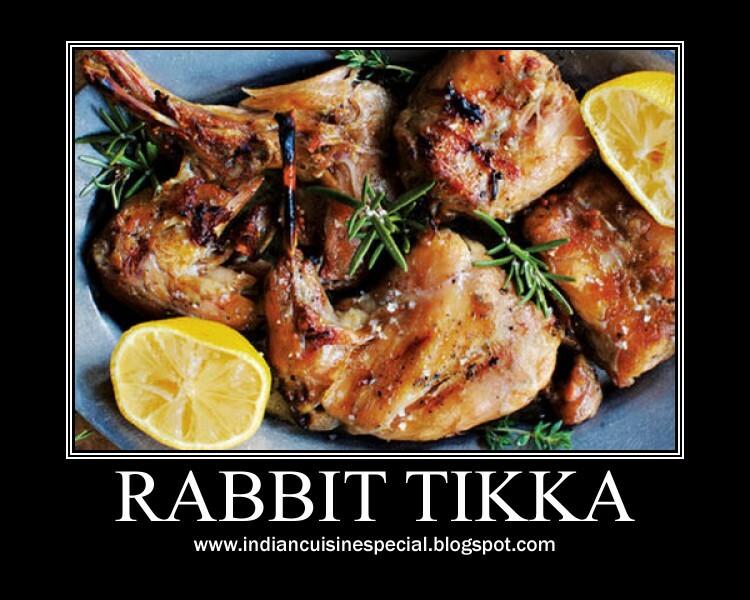 Put the rabbit pieces in yogurt marinade, and allow to sit in the bowl for at least 5 mins. During cooking keep basting with the juices to keep it moist.